It was a privilege to be in Paris last week to see the launch of the "TIC Council" - the new international trade association for the Testing, Inspection, and Certification industry, born of the merger of IFIA and CEOC. More than just a rebrand and a merger though, this hopefully heralds a degree of collaboration and advocacy in an industry previously under-represented in terms of its prominence in the public agenda - the common perception of a "niche" industry is in some ways surprising for a $200bn global market that has been around for over 100 years and touches every aspect of our lives! However, this is understandable when you see that it has historically been highly fragmented: many of the labs and inspection agencies providing critical risk, innovation and compliance services have remained in-house or highly local. What has changed has been the constant wave of consolidation and outsourcing over the last two decades, driven by both acquisition-hungry global investors as well as customer demand, and that means we have reached a point in the industry's evolution where such a degree of collaboration can be truly powerful. And there is great value in raising the profile - just one example mentioned by Karina Engstrom Nielsen of Baltic Control was counterfeiting: consumers think counterfeiting is just Louis Vuitton bags, but it's other products such as batteries which are far more dangerous! Firstly, the pace of change is accelerating - R&D cycles are faster, new technologies and products can take off in the consumer consciousness in a matter of months, and the regulatory frameworks that TIC players have often fallen back on can no longer keep up. How do you cope with battery-powered suitcases exploding in-flight when it can take 10 years for aviation regulation to change? Increasingly third party marks will have a role to play here, leading the way where regulators follow. Secondly, new technologies are fundamentally changing what is possible, and what customers expect. Cybersecurity is one of the fastest growing areas within Testing, the ability to track food products across the supply chain from farm to plate has now gone from a pipedream to reality, and the way that software can be used to transform testing methodologies are just a few examples of how rapidly the industry is evolving. Geographic diversity adds an extra degree of complexity to this - supply chains have been global for decades but there is still a remarkable difference in the regulation and level of scrutiny in different regions. Siddharth Amin of Dr Amin Controllers quipped "God runs India's quality systems" and advocated the need for the level of adherence to quality standards to be raised up across sectors in the way that export-heavy sectors like Automotive, Pharmaceutical, and Medical have had to learn to already. Ultimately, it is an issue of Trust. If the TIC industry is to live up to its promise of providing independent third-party verification that consumers, governments, and industries can trust, and leverage the brands that communicate this, then it needs to maintain these standards without fail - the damage that Volkswagen saw from diesel testing or UK supermarkets saw from the horsemeat scandal would be potentially terminal for a company whose raison d'etre is independent verification, and by implication others in the industry. So it will be interesting, potentially challenging times ahead - and with the industry's support, I'm sure the newly formed TIC Council will in return help the industry rise to the challenge. 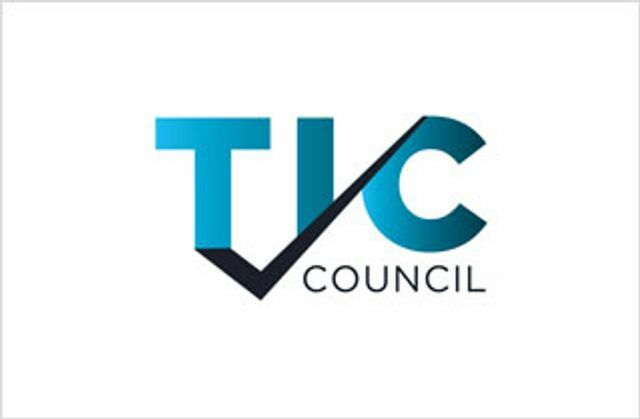 Leading companies in the testing, inspection and certification (TIC) industry have launched the TIC Council, a new international association representing independent third-party verification. Born from the merger of former global TIC industry organizations IFIA and CEOC, the TIC Council will be based in Brussels and bring together 90 member companies and organizations from around the world to speak with one voice.